Soak red beans/ vanpayar in water and pressure cook it adding enough water and salt. In another pan cook the cubed pumpkin pieces adding salt and water. Grind the grated coconut along with cumin seeds, green chillies, garlic , turmeric powder and pepper powder. Add cooked red beans and ground coconut mixture to cooked pumpkin, mix well and cook for few minutes. Add water if needed and check salt. Heat oil in a pan, splutter mustard seeds and add dry red chillies and curry leaves. Erissery is an unavoidable memory..Isn't it ? Looks authentic Shabbu. Wat a droolworthy thoran,mouthwatering here. Lovely recipe. Inviting, healthy and mouthwatering. Healthy dish,my favorite love it. lovely curry.Thanks for ur lovely comment and for following me. 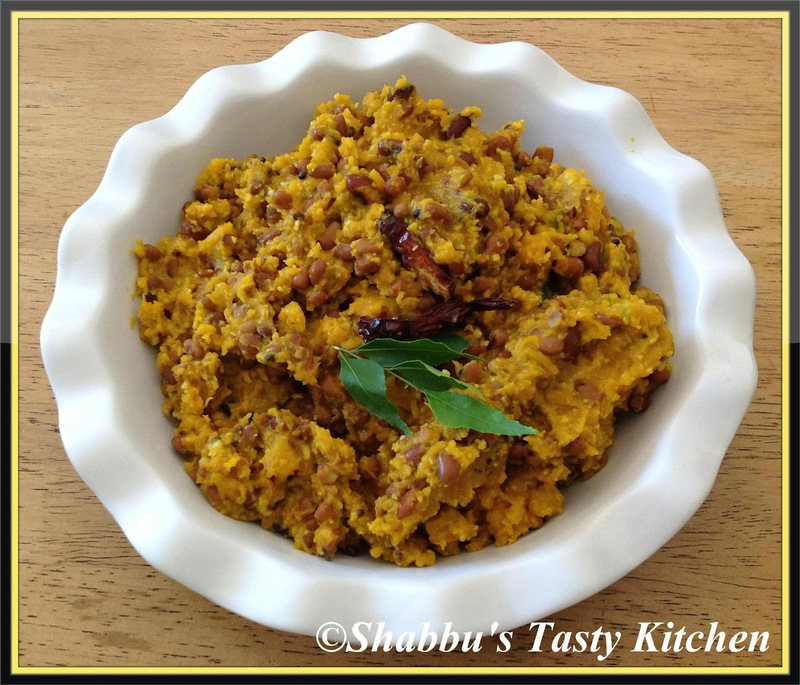 sounds very healthy n filling curry, new to me...haven;t tried any legumes/beans with pumpkin...will try it sometime!